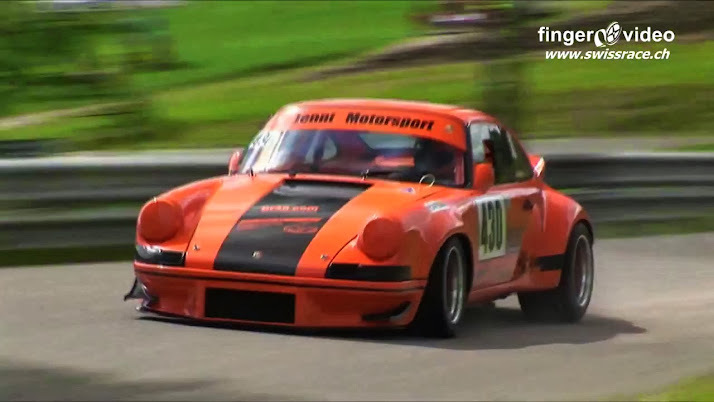 This is Willi Jenni driving his 1974 Posche 911 Carrera RSR at the Swiss Hillclimb Festival. The car is powered by a 3.4-liter flat six producing 350 Hp. Things get more interesting when we tell you that this orange beast weights just 798 Kilograms (1,760 pounds). But that's even the best part, because this car makes some really, really good noise. Video after the jump.